This is the first tea that I’ve had from LaLa Shan in Taiwan. 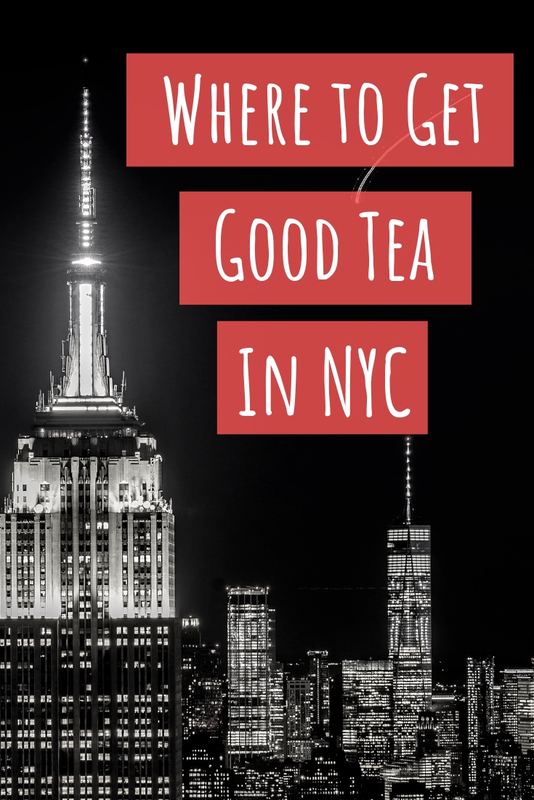 Doesn’t it sound like the name for a magical tea wonderland? The owner of the company showed me photographs of the farm where this tea is produced and the mountain views were absolutely breathtaking. Needless to say, LaLa Shan has now been added to the tea travel bucket list. Xin Mu Cha’s website explains that the region is similar to Ali Shan and Li Shan but the weather is generally a bit cooler. 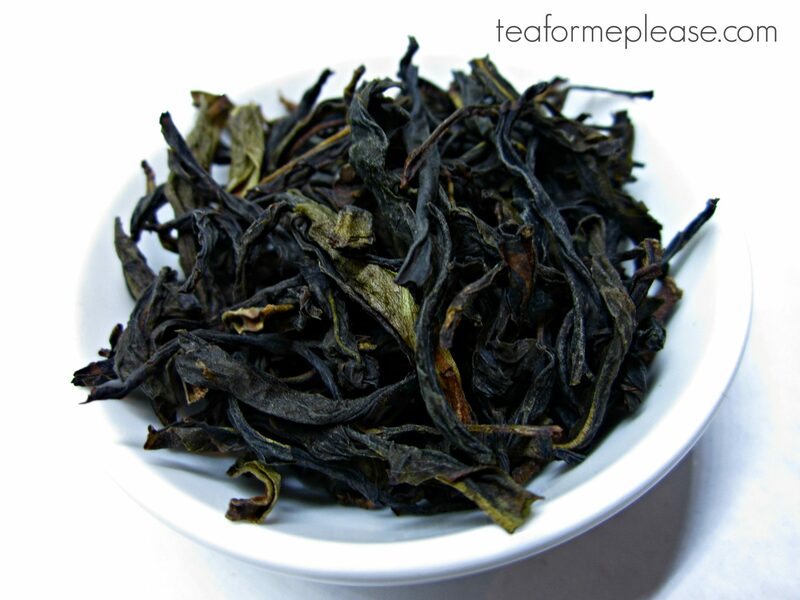 An elevation of 1,500 meters makes this tea a true high mountain oolong. 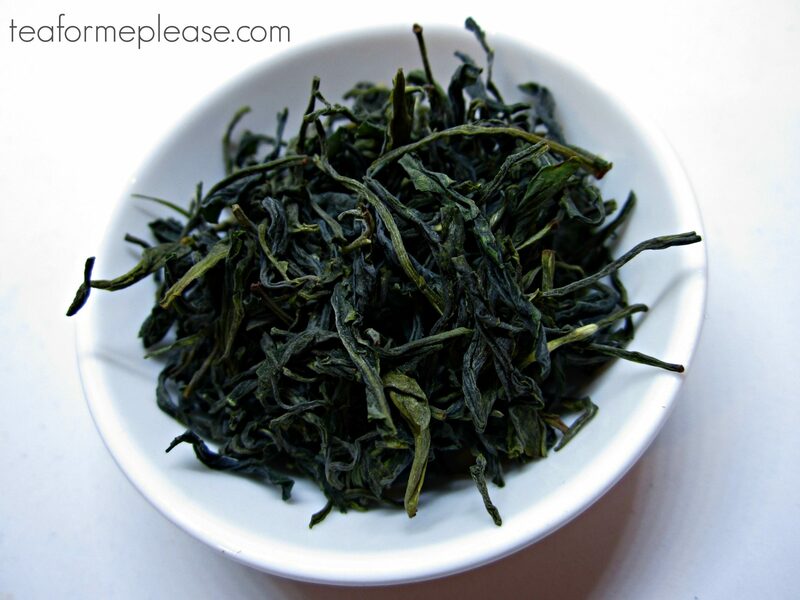 It was made from Qing Xing, also known as green heart, one of the oldest and most widely spread Taiwanese tea cultivars. My senses were flooded with the wonderful aroma of the leaves as soon as I opened the sample packet. All I could think was, “now that’s what tea should smell like!”. The mouth-feel was buttery and thick with a smooth and pleasant finish. Heady floral aromas reminiscent of orchid and honeysuckle flooded all of my senses. There some vegetal notes in later infusions but don’t let that scare you. They were more like sweet sugar snap peas than broccoli or other less popular veggies. 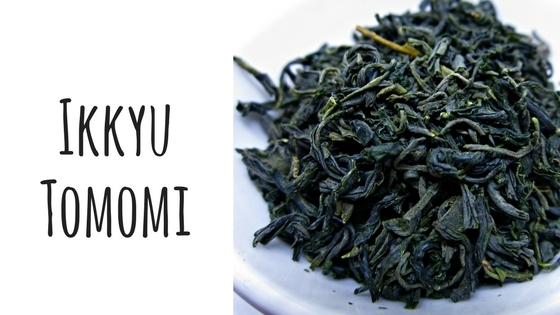 This tea lingered in my palate for what seemed like forever. 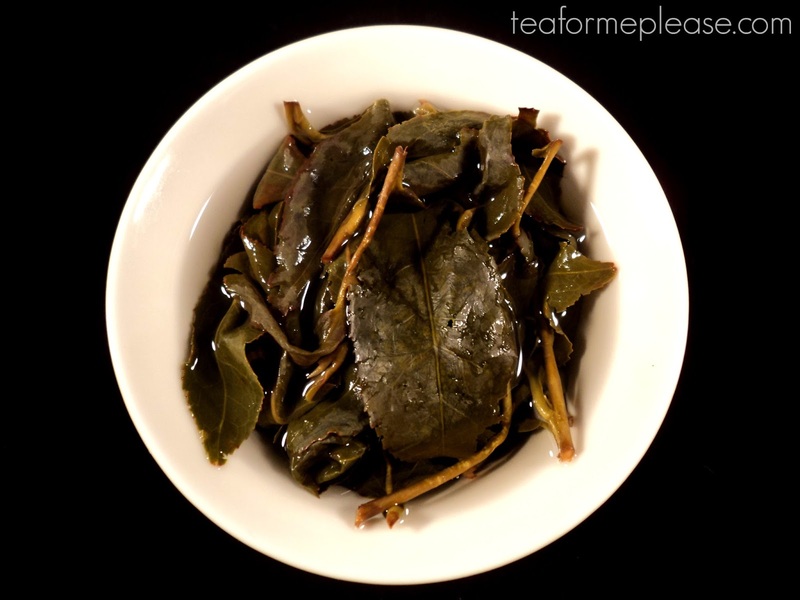 I adore watching the leaves unfurl with an oolong like this one. Those tiny little balls slowly transformed into large, beautiful and intact leaves. Nonpareil Taiwan LaLa Shan Oolong Tea sample provided for review by Xin Mu Cha. “reviewBody” : “This is the first tea that I’ve had from LaLa Shan in Taiwan. Doesn’t it sound like the name for a magical tea wonderland? The owner of the company showed me photographs of the farm where this tea is produced and the mountain views were absolutely breathtaking. Needless to say, LaLa Shan has now been added to the tea travel bucket list. Xin Mu Cha’s website explains that the region is similar to Ali Shan and Li Shan but the weather is generally a bit cooler. 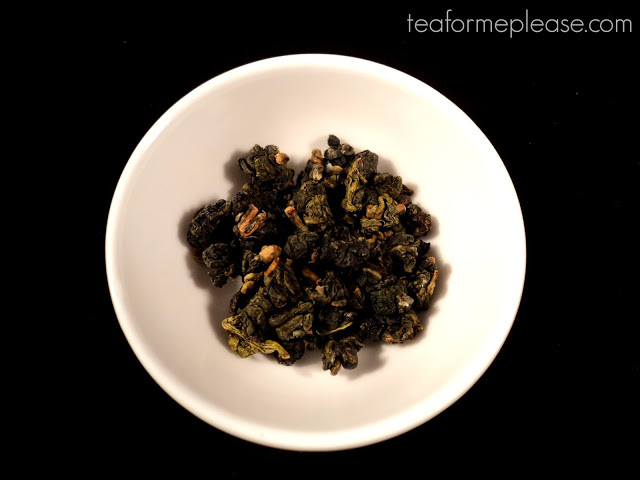 An elevation of 1,500 meters makes this tea a true high mountain oolong. 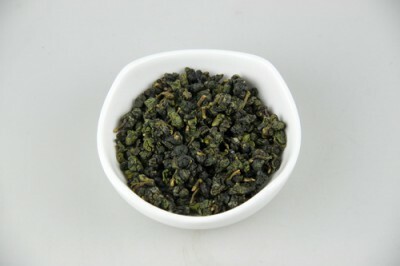 It was made from Qing Xing, also known as green heart, one of the oldest and most widely spread Taiwanese tea cultivars. My senses were flooded with the wonderful aroma of the leaves as soon as I opened the sample packet. All I could think was, “now that’s what tea should smell like!”. The mouth-feel was buttery and thick with a smooth and pleasant finish. Heady floral aromas reminiscent of orchid and honeysuckle flooded all of my senses. There some vegetal notes in later infusions but don’t let that scare you. They were more like sweet sugar snap peas than broccoli or other less popular veggies. This tea lingered in my palate for what seemed like forever. 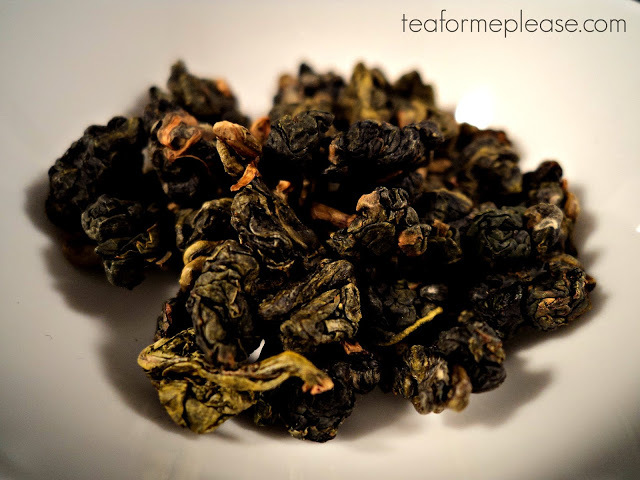 I adore watching the leaves unfurl with an oolong like this one. Those tiny little balls slowly transformed into large, beautiful and intact leaves.